Home / Ibaan / Will the Real Tamales Please Stand Up! Will the Real Tamales Please Stand Up! I was just with my elder sister and her two kids when it suddenly occurred to me to ask if they had the time – and the gas – to go to Ibaan. For those not from these parts, Ibaan is a little town about 15 minutes south of Lipa City. I have been craving for some tamales, I said; and finding the right sort is not so easy in Lipa. Because all three are call center people, they declined but promised that we would go another time soon. The obvious question to ask is, naturally, why the need to go to Ibaan in the first place? It goes like this. If you went uptown to the public market and ask where the nanay is who sells the tamales, you will in most probability be pointed in the direction of the wizened old lady with the bilao in front of her. On the bilao will be a kakanin wrapped in cubes with banana leaves and tied with either a string or strands of banana leaf. Indeed, if you approach the nanay, she will promptly invite you to try her tamales. Packaging aside – and her tamales will indeed look like a tamales – there is nothing at all about what is inside the banana wrapping that comes even close to the sort of tamales that I have been craving for. The tamales that I have in mind is the sort that has a smooth texture on the outside which I just learned is because it is made with rice powder. This tamales is salty and has the distinct taste of atsuete and ground black pepper. It also has a definite peanut buttery taste to it. Inside the rice-y outer coat, depending on who does the tamales, can be anything from strips of chicken to pork or even shrimps. There may even be slices of boiled egg or itlog na pula. I am starting to salivate just writing this. This was the tamales that I grew up knowing. Mom used to bring it home often enough. I don’t know about other people, but I have always known the tamales to be a snack, not a viand for a meal. I think I was already in high school when I learned from a classmate that tamales could be something other than what I always thought it to be. Somebody brought what he called tamales one school day and shared these around. My taste glands were already starting to flow until I untangled one neatly folded sheaf of banana leaf. For starters, inside the outer part was something pale green instead of the light brown or creamy yellow that I knew the tamales to be. It was also obviously made with sticky rice – a.k.a. malagkit. I took a bite, nonetheless; and so commenced one typical topic of a Batangueño debate. “This is not tamales at all!” I complained, although I continued to eat. Sweet, and frosted with coconut latik and jelly before eaten, I naturally told my classmate that his tamales was actually suman sa lihiya. 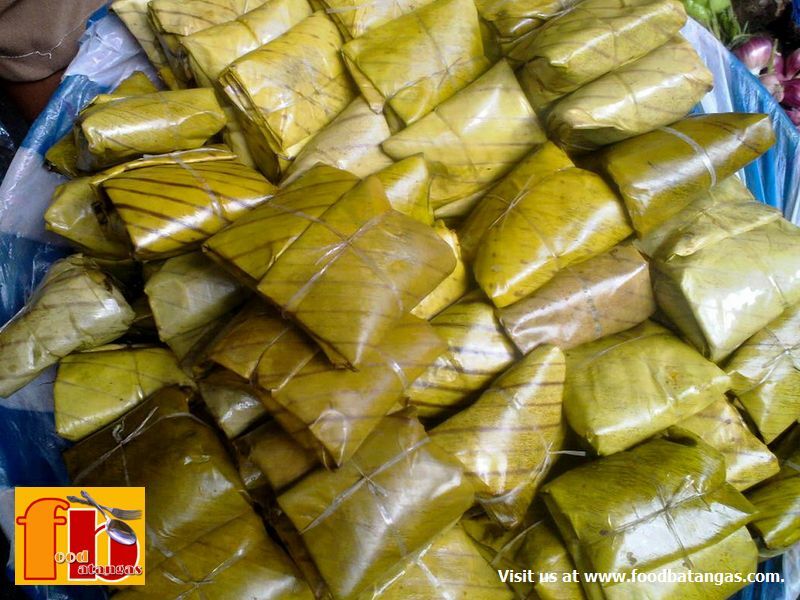 My Lola Leonor used to send the suman often enough to us from where she lived in Nasugbu when I was still a child. Mom used to tell us that my lola herself used to make a pretty special suman sa lihiya. I remember Mom describing how she would grind and roast the stalk or the crown of your humble thorny uray weed and use the ashes to flavour the suman. Until about a while back, I thought this was just my memory playing tricks on me. I mean, ashes? Seek and ye shall find, ‘ikâ ngâ. So I Googled the mystery and guess what I found? Suman sa lihiya is made with lye water. I always wondered what lihiya meant. Shootah-nah… ‘Yun lang pala. Lye. I Googled this as well. What do you know? Lye is an alkaline substance – just pretend you understand and read on – and it can be made with, among other things, ashes. Perhaps, I remember Mom’s story right, after all. And yes, Lola Leonor’s suman was eaten with latik and coconut jelly as well; pretty much as one does with that which people from Lipa call the tamales. Shaped longer as sumans are supposed to be; but otherwise the same in taste. The tamales that I have been craving for? These you find in Ibaan, Padre Garcia, Rosario or thereabouts. Now that I come to think about it, Mom used to buy the tamales that she brought home from any of these towns or whenever she went to the public market in Batangas City.